The result is a river of rescue donations flowing from avowed dog saviors to the breeders, two groups that have long disparaged each other. The rescuers call many breeders heartless operators of inhumane "puppy mills" and work to ban the sale of their dogs in brick-and-mortar pet stores. The breeders call "retail rescuers" hypocritical dilettantes who hide behind nonprofit status while doing business as unregulated, online pet stores. Bidders affiliated with 86 rescue and advocacy groups and shelters throughout the United States and Canada have spent $2.68 million buying 5,761 dogs and puppies from breeders since 2009 at the nation's two government-regulated dog auctions, both in Missouri, according to invoices, checks and other documents The Washington Post obtained from an industry insider. At the auctions, rescuers have purchased dogs from some of the same breeders who face activist protests, including some on the Humane Society of the United States' "Horrible Hundred" list or the "No Pet Store Puppies" database of breeders to avoid, maintained by the American Society for the Prevention of Cruelty to Animals. Most rescuers then offered the dogs for adoption as "rescued" or "saved." 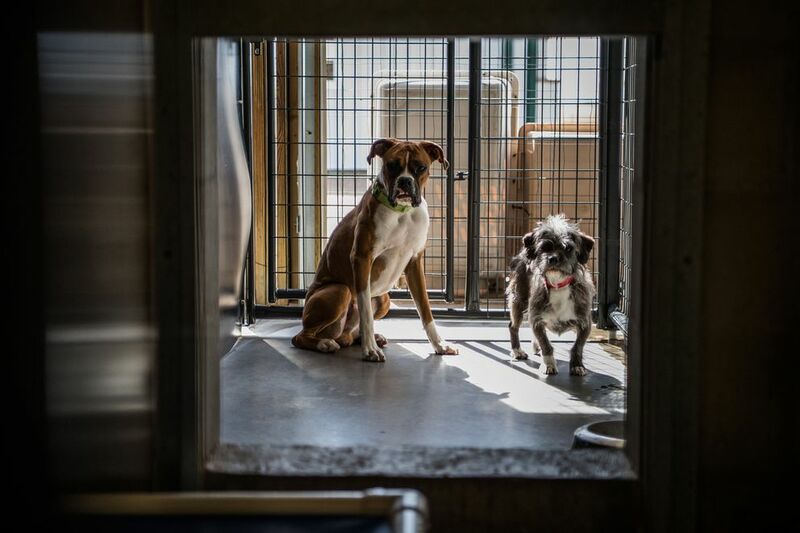 The smaller populations of shelter dogs make it harder for some rescue groups, especially those dedicated to specialty breeds, to find what adopters want. One golden retriever rescue group turned to the auctions after seeing 40 percent fewer dogs coming in as of 2016. At the auctions, such rescuers describe buying purebreds and popular crossbreeds such as goldendoodles and maltipoos as "puppy mill rescue." "We have breeders that breed for the auction," says Will Yoder, a commercial breeder of Cavalier King Charles spaniels in Bloomfield, Iowa. "It's a huge, huge underground market. It's happening at an alarming rate." Many people are unaware of the practice. About 50 of the 86 groups that The Post linked to auction bidders made no mention of auctions on their web pages, 20 described what they were doing as "puppy mill rescue" or "auction rescue," and 10 mentioned words such as "bought" or "purchased" at auction but did not say online how much they paid per dog. "Although they may be doing good things for individual dogs purchased at auctions, it perpetuates the problem and tends to create a seller's market," says Brandi Hunter, the AKC's spokeswoman. "It's a very controversial thing, for rescuers to buy dogs at auction," says Jeanette DeMars, founder of Corgi Connection of Kansas, who discloses to donors that she buys auction dogs. "Some are of the opinion that you're putting money in the breeders' pockets. Others say you're saving the dogs from a life of breeding. My opinion is that if people are willing to donate and it doesn't take money out of my regular rescue, I will do it." "That breeder is going to make thousands of dollars off that [female dog] if he breeds her every cycle," Dimon said. "I just bought her for $150. I just took money out of his pocket. I got the dog, and I stopped the cycle." The majority of the $2.68 million The Post documented was spent since 2013 at Southwest Auction Service, the biggest commercial dog auction in the country, with some additional spending at its smaller, only remaining competitor, Heartland Sales. Southwest originated in Wheaton, Missouri, in 1988, and Heartland was founded in Cabool, Missouri, in 2003, as a marketplace for breeders. As the last remaining government-licensed auctions, they let buyers and sellers see hundreds of dogs at a time and are a legal part of the country's puppy supply chain. They are regulated by the U.S. and Missouri Departments of Agriculture and open to the public. "I'm not going to lie about this: Rescue generates about one-third, maybe even 40 percent of our income," says Bob Hughes, Southwest's owner. "It's been big for 10 years." Hughes said his auction is open to everyone but people with cameras because "our customers don't want to be on animal-activist websites being called 'puppy mills.' "
Hank Grosenbacher, owner of Heartland, says rescuers usually account for 15 to 25 percent of his business. He says he gets fewer rescuers than Southwest because he often bans from his auction rescuers who publicly call breeders "puppy mills." "At our auction, I think 75 percent of the people who sell dogs, and the rescues who come to our sale, will do things the right way," he said. "The particular rescuers who come to our sale, they're a blessing. For the most part, they buy dogs that breeders don't want, and they're not paying a lot of money." "I honestly think there are very good, responsible rescues that just love the dogs and want to get them out of the breeding industry," Hughes says. "And I think there are malicious, lying, cheating rescues that are in it for the money and the glory and the funding." In early February, Grosenbacher's auction brought in $132,000, while Hughes notched his biggest sales revenue ever, taking in more than $600,000. One rescuer, Jessica Land, who helps operate Dog Ranch Rescue and Lone Star Dog Ranch in Texas, paid $8,750 for a pregnant French bulldog at Southwest, an invoice shows. Land declined to comment for this article. "The French bulldog that Lone Star paid $8,750 to buy in February was pregnant with five fetuses," Hughes said. "An ultrasound showed it. Now, if there's five fetuses worth $2,000 a puppy, that's $10,000 in puppies and the mama's a young female, so a breeder would say, 'I got all my money back in one litter and own the dog for free and she'll produce for another five years.' "
The rescue-themed post reached more than 2,300 people. Most of them clicked "like" and "love." The Southwest auction may be the country's largest, but finding it requires knowing that it's there. It is held behind a gate and down a dirt driveway, in a barn on private property. It is in a part of Missouri so rural that the 2010 Census showed the nearest town – Wheaton – had only 696 residents. An Alabama breeder of Cavalier King Charles spaniels was going out of business, so the sale would have more than 130 Cavaliers. There was serious money in play that day from Cavalier rescuers. One rescuer's GoFundMe.com campaign had netted $188,815, and another's YouCaring.com fundraiser brought in $157,955. 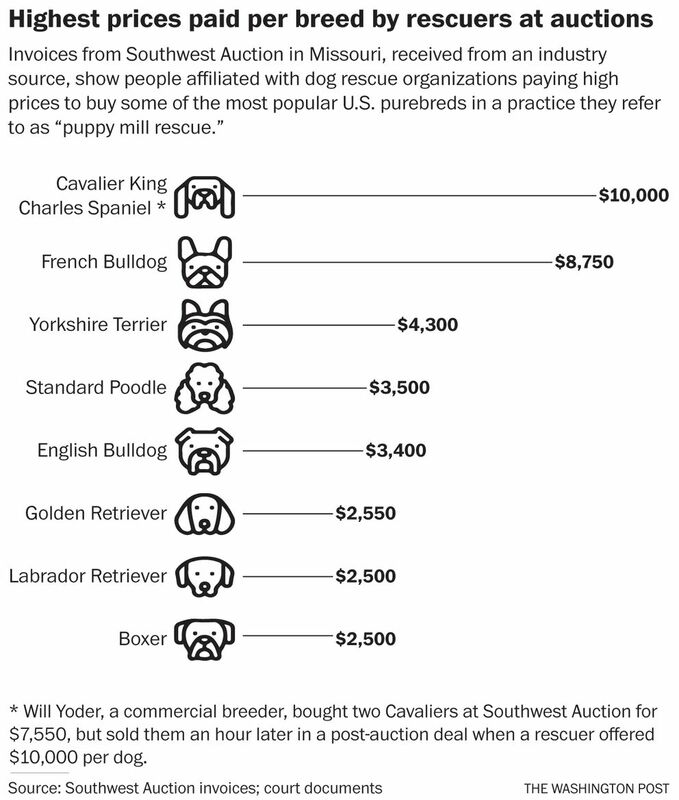 "Don't Let These Sweet Cavaliers go to a Disreputable Home," a rescuer wrote on the YouCaring.com site, warning donors of the "many other less than reputable breeders at this auction." "There was just dead silence," Yoder says. "This was, like, the first dog that went to a breeder that day. The pressure was on. The first dog just went to a horrible puppy mill. That's what they're thinking." As he waited to pay at the checkout counter, Yoder says, a rescuer approached and blurted, "So, how much profit?" "It was like, they hate me, and they assume I hate them, and she just walked up and looked at me," he says. "I knew what she meant: What do you want for your dogs? I looked at her and said, 'I'm sorry, but they're not for sale.' "
Comments on the forum emphasized the urgency: "Money is still being donated, hopefully an agreed fee for the dogs can be met with the money that is still coming in!!" "I told the driver, 'They really wanted those dogs,' " Yoder says. "We were just talking, and I said, 'Money is obviously not an issue for them.' "
Yoder called the auction owner by cellphone and said he'd take $10,000 per Cavalier if the rescuer still wanted them. "I was just curious," Yoder says. "I didn't think they would actually pay it. But it's not their money, so money wasn't an issue. I'd never sold a dog for $10,000, so I just thought, 'Let's see.' "
Within minutes, the auction owner and Yoder say, the deal was done: Documents show that Ingram paid $24,200 to buy the two Cavaliers for which Yoder had paid $8,305, with all the totals including the auction's fees; the check was one of four that Ingram wrote that day, totaling $218,325 for 54 dogs, according to documents submitted by lawyers for Ingram and others in an Alabama libel lawsuit filed in the wake of the auction. "The Beware page and the information posted by others lacked any factual support and the unconscionable allegations contained therein were and are false, defamatory and libelous," the plaintiffs complaint states. Lisa Thompson, co-founder of Cavalier Rescue of Alabama, said that on the advice of legal counsel, no one from her group would respond to The Post's questions. "I was just like," he pauses, chuckling, "this is crazy." The rescue movement used to include only shelters, but today it has an expansive network of home-based nonprofits, too. 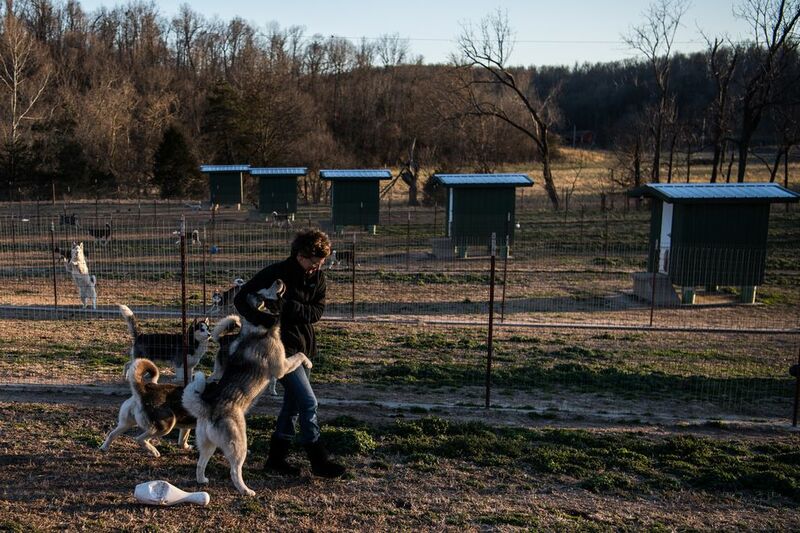 The noticeable increase in the number of such rescuers at the Missouri auctions began around 2005, about the same time that the nation's rescue movement began to evolve. That is also about the time that self-described "puppy mill rescue" began to move into the mainstream. Social media is boosting the "puppy mill rescue" movement today, with some rescuers seeking donations specifically to buy auction dogs. Amanda Giese, founder of Panda Paws Rescue in Washougal, Washington, posted several Facebook videos after spending $18,140 buying 32 dogs at the Southwest auction on Feb. 18, 2017, an invoice shows. Giese tells viewers, sometimes through tears, that she bought the dogs to save them from lives of sickness and torment in facilities with 400, 500 or 600 dogs that live in "rabbit hutches." She is shown with Siberian husky puppies that she purchased, asking as she unloads them from the back of a van, "Do you want to touch green grass for the first time?" 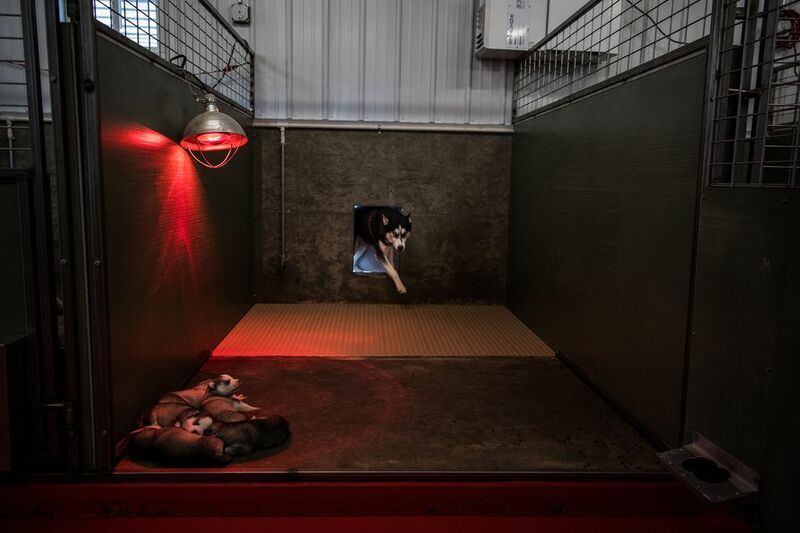 Two of the husky puppies that Giese bought, documents show, came from Sugarfork Kennels in Goodman, Missouri, which has sold puppies to pet stores and directly to consumers since 1999, and which invites buyers to visit the kennel. At least one of Sugarfork's grassy, sun-drenched enclosures, where big dogs such as huskies run and play, is the size of a ballfield. Giese, reached by telephone, said she could not respond to The Post's questions. Rescuers who have been buying auction dogs for many years say it is unfair to characterize all commercial breeders as "puppy mills." They say they consider some of the breeders at the auctions to be their friends who, for various reasons, have dogs or puppies they cannot sell in other ways, leaving them for rescuers to acquire. "I think that as long as there are people raising dogs, there's always going to be the adult dog that got too old," said Jane Rosenthal of Storm Lake, Iowa, a former breeder and longtime auction buyer for numerous rescue groups. "There's going to be the puppy with an overbite or its eye got hurt – the unsellable puppies. To me, that's really what I always did for the most part, was pick up the crumbs at the bottom, those that nobody wanted." Rosenthal is a buyer who shows the nationwide reach that even a single rescue bidder can have from inside the auctions, making it all but impossible for consumers or regulators to determine a dog's provenance. She has spent at least $150,972 buying 434 dogs at Southwest since 2014, an average price per dog of $347; and $103,304 buying 619 dogs at Heartland since 2009, at an average price of $166, documents show. She has bought corgis, Akitas, Cavaliers and many more breeds for rescue groups from California to Minnesota to New Jersey, records and interviews show. 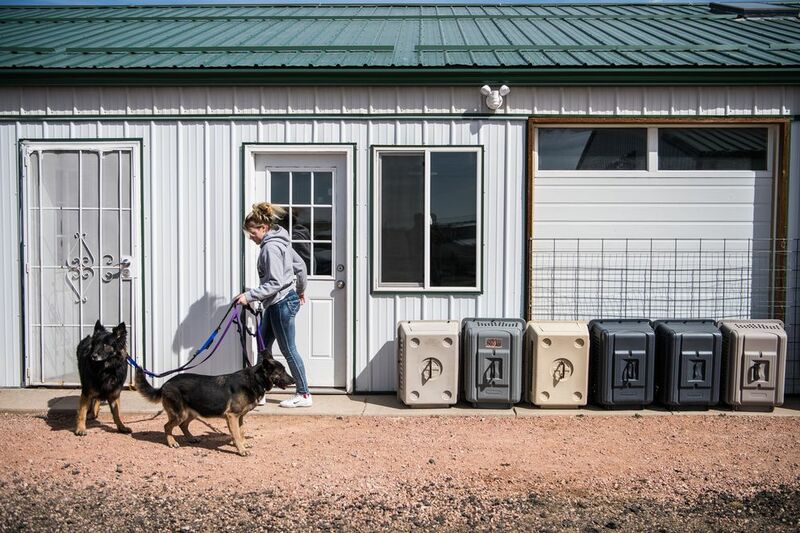 "She has this great big van and gets dogs for all the rescues," says Faith Humpal, president of Paws to Love K9 Rescue in South Dakota, who has attended auctions for about 15 years. "A lot of the rescues say, 'We don't buy dogs' or 'We don't do this,' but, yeah, they do." Rosenthal said she is a volunteer bidder who does not consider her actions to be the same as buying dogs. She said she bids at the auctions for other rescuers who reimburse her. She said she cringes at the high prices some rescuers pay before showing off their auction-bought dogs online with descriptions such as "puppy mill rescue," using the dogs "as poster children" to generate more donations from the public. "You didn't save that dog," she said. "You paid $3,000 for it. You bought it, and you're going to sell it. I don't want any part of that." Theresa Strader agrees. She is founder of National Mill Dog Rescue in Colorado, a leading "anti-puppy mill" nonprofit organization with a website that states, "We do not pay the mills to rescue their dogs." Invoices show that Strader paid breeders nearly $44,703 for 193 dogs at 11 auctions from 2014 to 2016; prices ranged from $1 (for a Chihuahua) to $1,325 (for a golden retriever), for an average price of $231 per dog. 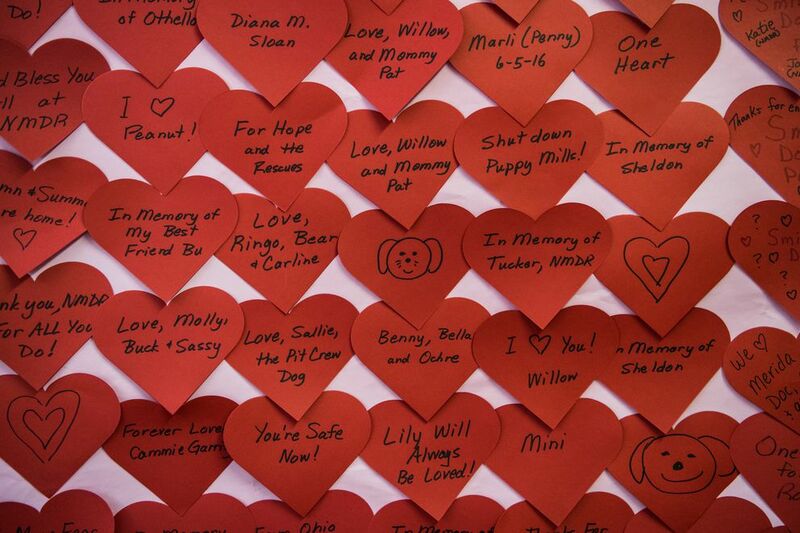 "At least half of that money was groups that asked me to get dogs for them," Strader said. Rescuers told The Post it is a common practice for rescuers to buy dogs for others. Strader used to get "penny dogs" with her personal money at Southwest before about 2013, she said, and today is disgusted by the large amounts she sees some rescuers spending. "It became all the rage for rescuers to show up," Strader said. "They're creating an industry inside the industry. It's really, really wrong." Strader is among those who say buying dogs for high prices at auction is not a form of rescue at all: "People who call this puppy mill rescue? That's not honest. It's just not." "Originally, rescues attended auctions to get the old and the sick dogs, and we paid very little for them," says Penny Reames, a Kansas rescuer who has attended the auctions for a decade, transferring the dogs to northern New England Westie Rescue in New Hampshire, which adopts them out for as much as $1,000 apiece. "We don't see those dogs so much anymore. Now it is primarily puppies who did not get bought by the brokers for one reason or another." At Heartland, owner Grosenbacher said, rescuers bid against each other for designer crossbred puppies such as morkies and puggles, and breeders consider the rescuers to be a reliable market for those pups because adopters clamor for them, making them a "cash cow" in the rescue community. "That's the one thing that rescues will get in competition over," he says. "They'll stand right there and look each other in the eye and outbid each other. By and large, it's the rescuers knocking each other out." Numerous rescuers told The Post that before every auction, in a secret Facebook group and in person, rescuers meet to decide who will bid on which dogs, so they do not bid against one another. But Dimon, the Akita rescuer, says the longtimers do not always recognize the newcomers – who, upon seeing auctions for the first time, are so eager to "save" every dog that they will pay just about anything. Numerous longtime rescue bidders say breeders are lying in wait for those novices, to bid them up and take every dollar of donated money they have. Melissa McClellan of New York City-based Posh Pets Rescue, said she attended her first auction at Southwest in January and paid $1,700 for a male Maltese. The seller had listed the 11-year-old dog as "well proven, still using," and McLellan kept raising the bid because she thought she was competing with a breeder for the dog. "I could've gotten that dog for $100," Clark says. "They paid $1,700." As of January, the Humane Society of the United States said, 250 municipalities had enacted retail pet-sale bans, which are often called "puppy mill bans" in the news media. The laws require pet stores to obtain puppies only from shelters and nonprofit organizations. Activists and lawmakers tell the public that the laws help homeless dogs and choke off income to the kinds of breeders who sell dogs and puppies at auctions. An invoice shows that on April 8, 2017, Kristin Cramer – founder of the nonprofit For Pete Sake Foundation in Sherman Oaks, California – placed a successful phone bid with Southwest for nearly $17,200 to buy a dozen English and French bulldogs. Within a week, a fundraising drive featuring Cramer's dogs appeared on the Facebook page of Los Angeles-based Road Dogs & Rescue, telling donors: "The goal was to pay as little as possible so as not to line their pockets, but to save some lives and have these dogs put real faces to the horrible industry." One auction seller who got some of that rescue cash was Gary Phillips of Adair, Oklahoma, a district president with Northeast Oklahoma Pet Professionals. He is on the ASPCA's "No Pet Store Puppies" warning website. Cramer said her single venture into buying at auction would be her last. The founder of Road Dogs & Rescue, while happy with the outcome for the dogs, called the experience "a painful lesson," adding, "It's too easy for rescues to be ruled by wanting to save a life at any cost." 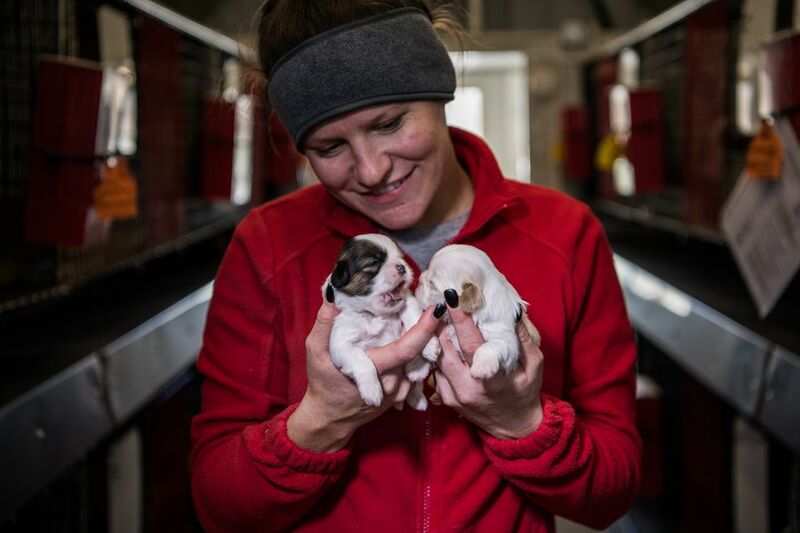 "A breeder friend of mine said she's thinking about saving her puppies until they get about a year old and take them to the auction," Phillips said. 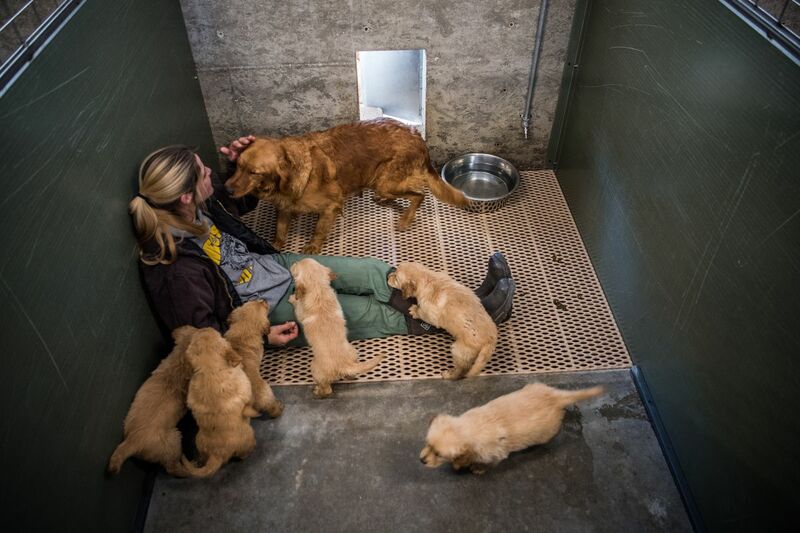 "The rescue people will pay more than the pet-store brokers." Nationwide advocacy groups that support the pet-store bans include Bailing Out Benji, an Iowa-based nonprofit that promotes pet-store protests. Its website home page urges readers to watch a 2015 documentary that "educates about the puppy mill industry and the money that keeps it thriving." But the group's site says nothing about rescuers such as Terra Henggeler, who is the Nebraska team leader for Bailing Out Benji, according to recent news reports. A 2017 story quoted her at a pet-store protest in Omaha telling the media that she and other rescuers had to "fight for those dogs" inside because the shop bought puppies from "less than desirable breeders." Bob Hughes, Southwest's owner, says that what goes on at the auctions shows that nobody has the moral high ground in America's puppy wars. "In their minds, the rescuers think they're better," he says. "The industry is all alike. 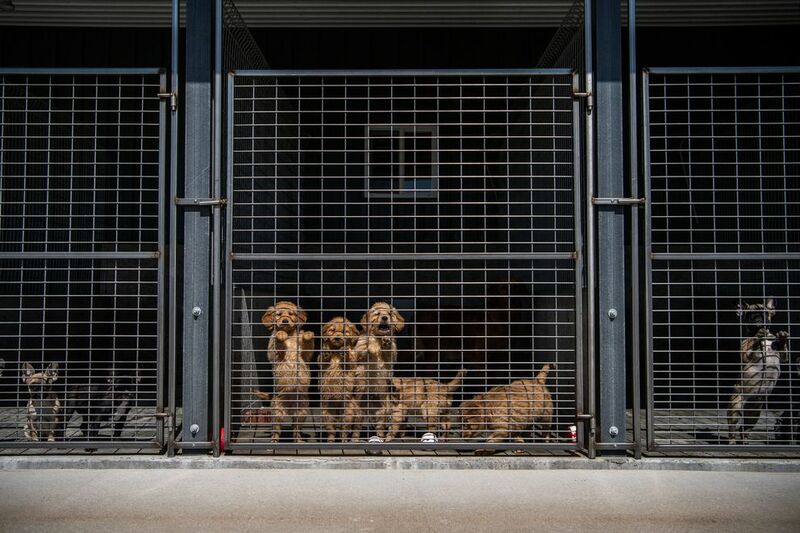 We're all supplying puppies and dogs to the general public in some form or fashion." Kim Kavin is the author of "The Dog Merchants: Inside the Big Business of Breeders, Pet Stores and Rescuers" (Pegasus Books, 2016), a book of investigative journalism.